Child-height windows invite curious dancers and siblings to look into the brightly-lit dance studios. 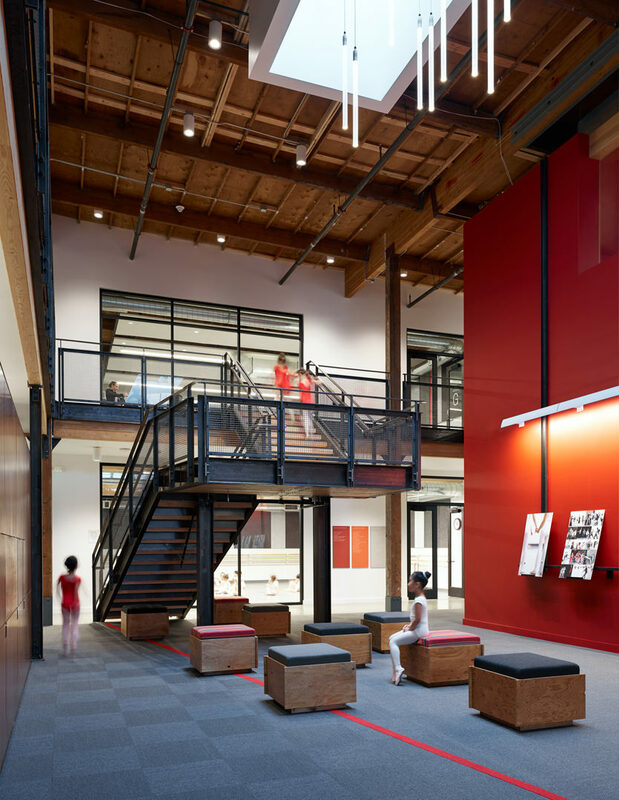 At the reception area, a donor wall and open views into dance areas welcome students and visitors into the Center. 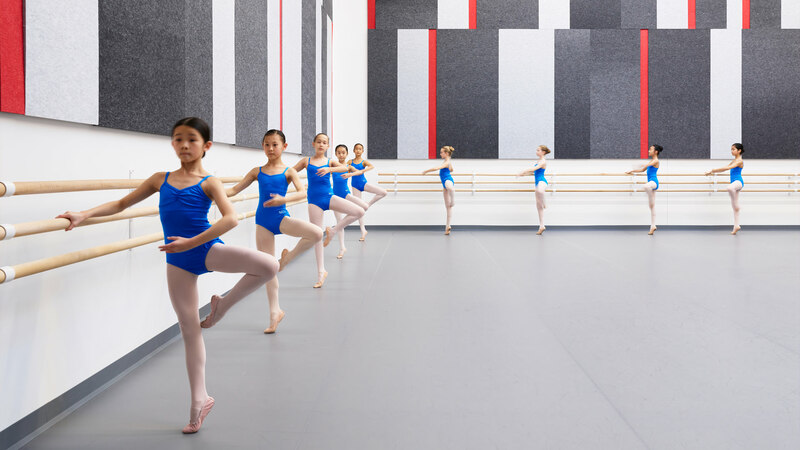 Each of the seven dance studios feature acoustic panels, mirrors, sprung flooring and triple-height bars to accommodate students of all ages. A skylight and lighting sculpture brighten up the multipurpose space for stretching and events. The red accent wall is a familiar feature carried over from the previous facility, reinforcing the school’s identity. Natural light permeates through translucent skylights in the grand performance space, which can seat 150 in bleacher and upper mezzanine seating. 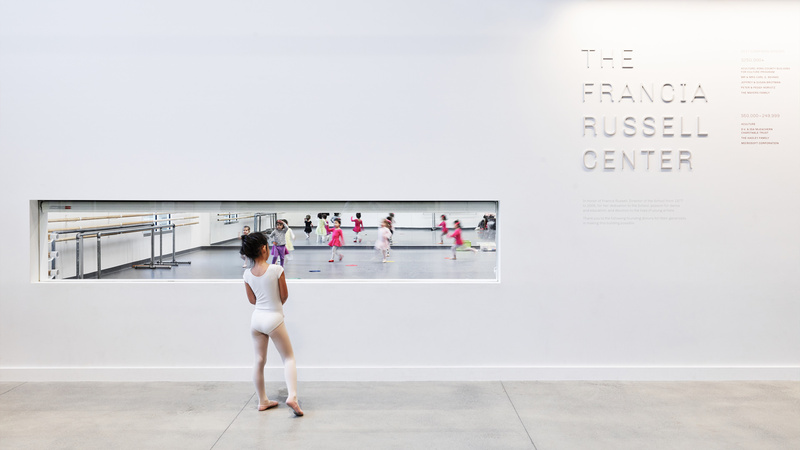 Students are immersed in the dance experience as they enter the new Francia Russell Center. The design provides a transparent environment for students of all ages to learn, engage and develop their talent. 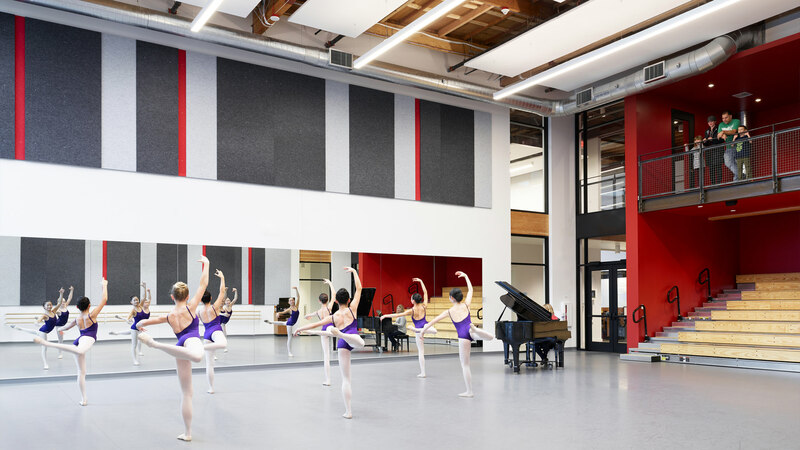 Child-height windows peer into double-height dance studios equipped with sprung floors, acoustic panels and a piano for live music. Support areas are scaled for children with playful textiles, furniture and graphics. Dance spaces are filled with daylight, while dimmer lighting in the back of house sets a more moody tone. 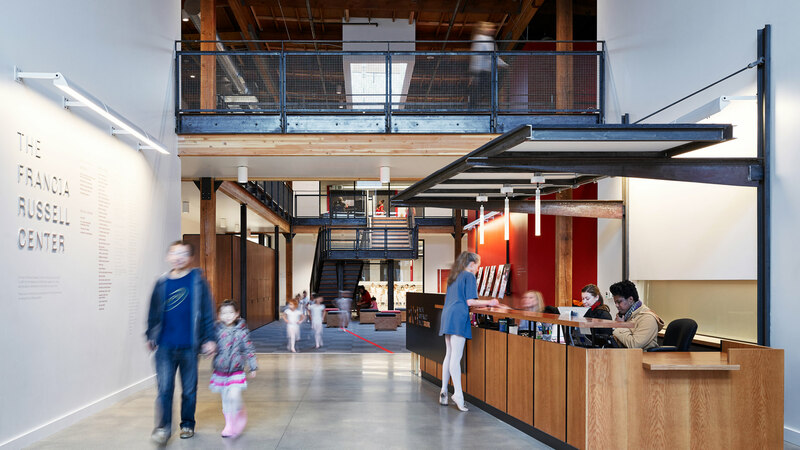 Displaced by the Sound Transit East Link route construction, the center capitalizes on the relocation to create a vibrant hub for the local arts community. With full auditorium functionality, the 150-seat performance studio is a flexible venue for diverse events and programs—from dance recitals and plays to presentations—with an adjoining kitchen and social space.